The relationship between bees and plants is being exploited to meet a growing human demand for honey, with intensive bee-farming methods leading to numerous problems. 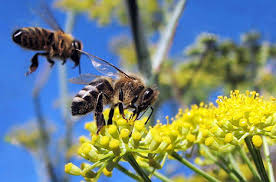 Pests and diseases, neonicotinoids and other pesticides, and loss of their natural habitats, have ravaged bee populations, especially in Europe, the United States and the tropics. Honey consumption in its modern form is arguably contributing to declining bee populations. A genuinely ethical, sustainable honey trade might depend on our learning to view honey as a treat or medicine rather than expecting to be able to buy it as an inexpensive staple. Although more bee-centred approaches do seem to help, just 1,500 tonnes of the 25,000 tonnes consumed in the UK annually can now be produced by British beekeepers, with the bulk of the remainder imported from Thailand and the world’s largest honey producer, China. I take a look at the basic principles of responsible honey-buying, and look at a few widely available brands. UK shoppers face a confusing choice. 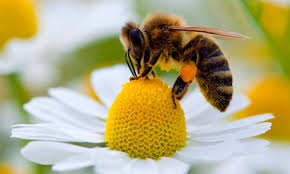 The very strict regulations on bee foraging distances and land quality set by the UK-based Soil Association, coupled with limited space and a close mixture of farming and urban land, make it impossible for UK farmers to establish certified organic beekeeping conditions. But imported organic honey means more food miles, and may be linked to poor working conditions, while the most fairly traded don’t necessarily qualify for a Fairtrade logo. And organic beekeeping can still employ some practices believed by natural beekeepers to be linked to susceptibility to pests, disease and stress. Other countries do have the space for beekeepers to achieve Soil Association standards domestically, and many UK beekeepers unable to qualify for certification nevertheless place their hives on organic land and follow organic principles of hive management and honey collection and processing. So your local honey may be a wise choice. I suggest buying from small beekeepers direct where possible. Choose a producer from a local honey directory, or ask at your health food shop, farmer’s market or local farm shop. Find out: If they’re organic certified, or apply organic guidelines; what sort of land is available for the bees to forage (uncultivated or organically farmed land is ideal); and whether they take an industrial or conservation driven approach. There’s no one shortcut to identifying a brand of imported honey which has been produced sustainably, but fairly traded, certified organic honey is most likely to adhere to the highest ethical standards. Do investigate the company, though, at least online, to make sure you’re happy with their approach. Your concerns are likely to be around bee health, welfare and conservation, organic cultivation, fair, transparent, short supply chains and worker welfare. Here is a couple of exemplary brands who are getting it right. A UK vegetarian workers’ co-operative only selling organic, GM free products, and embracing the original spirit of Fairtrade, Equal Exchange supports small, worker-run businesses. Best known for its coffee, it also produces several fairly traded, unpasteurised organic honeys. A December 2014 Ethical Consumer best buy, Equal Exchange Organic Clear and Set Honeys are blended from honey produced by workers’ co-operatives in Mexico and Nicaragua and traded direct, providing farmers with stable, predictable prices they can’t achieve on the open market. Equal Exchange Organic Orange Blossom Honey is produced by Mexican farmers who, with their hives, migrate to the famous Veracruz coastal orange grove region each spring. Also UK-based, this small company sells its own local honey across the UK, as well as importing organic honeys direct from small scale beekeepers in areas of environmental importance. They particularly specialise in unusual honey flavours. Much of Tropical Forest’s honey is bought direct from small rainforest beekeepers in Zambia who collect it using traditional African bark hives. Honey connoisseurs love this cold-pressed honey’s distinctive, rich and woody flavour, and it’s even available in large tubs to reduce packaging and transport. Tropical Forest Sicilian Lemon Honey is sourced from small scale European beekeepers on the lemon groves of Mount Etna, and has a delightful tart, floral flavour. All are available from http://www.essential-trading.coop/. Enjoy your honey, but never forget – nature intended it for the bees!